I was teaching a winter term photography class at Graceland University. We met every day and part of each day’s class session was devoted to doing one or more in class assignments. 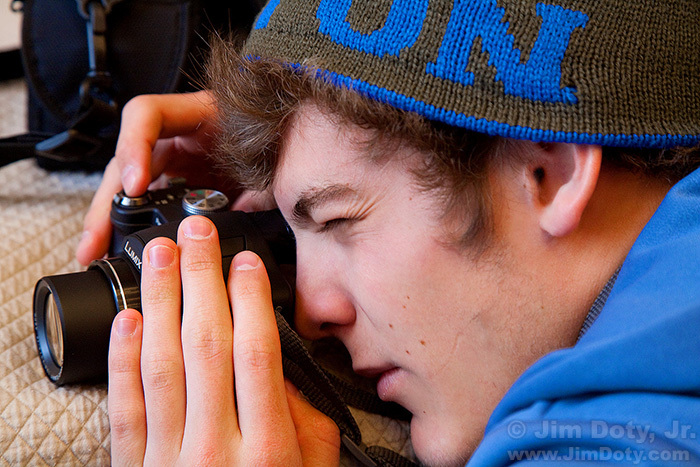 I saw this photographer doing a closeup image and decided to do a closeup of him doing his closeup. This is my favorite image of the day.